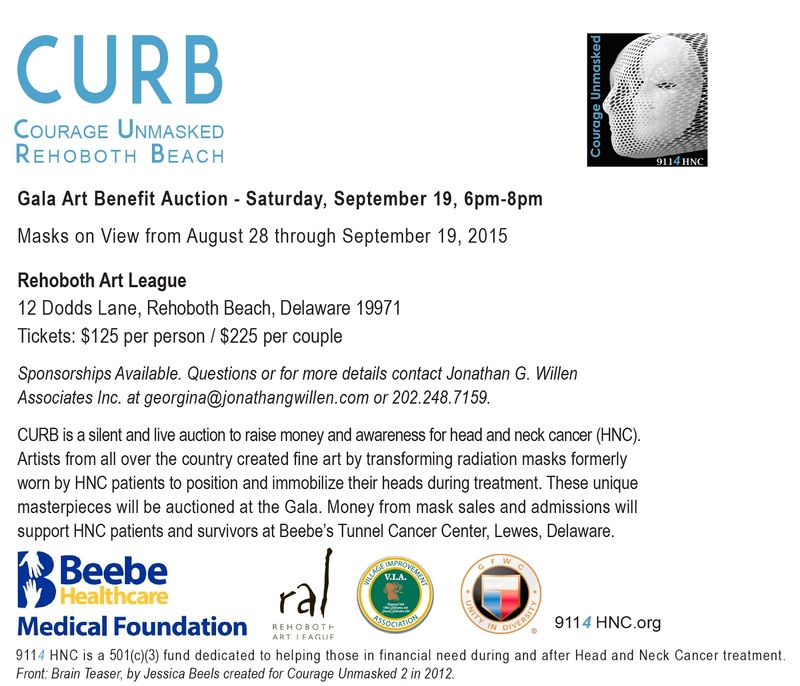 ABOUT: Courage Unmasked, a fundraising effort on behalf of head and neck cancer (HNC). Organized by the Help for Head and Neck Cancer Fund, or 9114HNC. 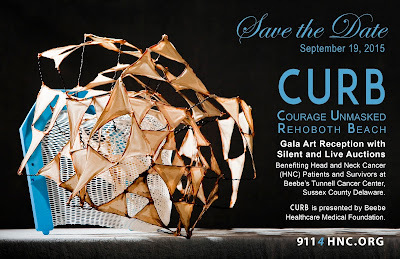 Courage Unmasked taps into the transformative power of art to turn symbols of illness into beacons of hope for the over 40,000 Americans diagnosed with oral or pharyngeal cancer this year. Using the plastic mesh medical masks that protect patients undergoing radiation treatment, artists create unique and inspiring works of art that will be on display for three weeks at the Rehoboth Art League beginning August 28, culminating in a gala fundraising auction on September 19. 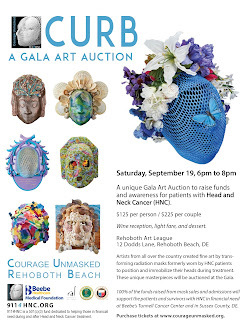 This year’s Courage Unmasked auction benefits patients undergoing treatment for head and neck cancers at Beebe’s Tunnell Cancer Center, located near Rehoboth Beach in Lewes, Delaware. All of the proceeds from the auction will go directly to individuals who are struggling to make ends meet as a result of this devastating cancer. 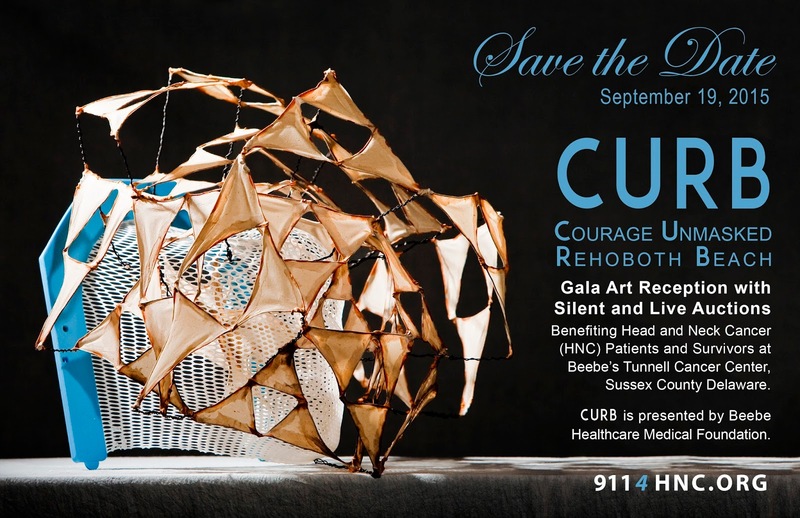 Tickets for the Courage Unmasked Gala on Saturday, September 19 are available for purchase by visiting www.9114hnc.org or calling 202-248-7159. Exhibit: Thursday, September 10 – Sunday October 25Inspired by Cole Porter’s classic, ‘Don’t Fence Me In,’ over thirty local artists created works that were accepted into the first Athenaeum Invitational. Eight artists who have previously exhibited in the Athenaeum Gallery were invited to create a work for the show, one of which will be selected for a $1500 prize. One of the regional artists who responded to the open call component of the competition will be awarded a $1000 prize. Invited artists and open call submissions were selected by Athenaeum Gallery Director, Twig Murray. Director and Curator of the American University Museum at the Katzen Arts Center, Jack Rasmussen, will determine the prize winners. The prizes will be announced and Mr. Rasmussen will briefly discuss his judgement at the reception on Sunday, September 13 from 4 to 6. Details of the call for entry can be viewed here. Courage Unmasked Rehoboth Beach is a silent and live auction to raise money and awareness for head and neck cancer (HNC). 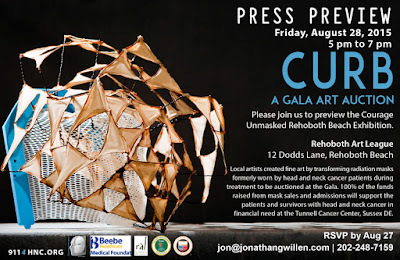 Artists from all over the country created fine art by transforming radiation masks formerly worn by HNC patients to position and immobilize their heads during treatment. These unique masterpieces will be auctioned at the Gala. 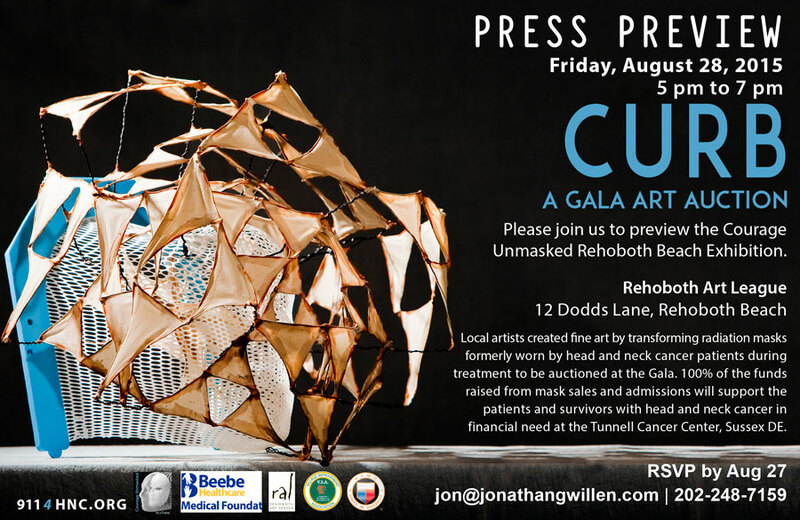 Money from the sale of the masks, tickets to the event and corporate & individual sponsorships will support HNC patients and survivors at Beebe’s Tunnell Cancer Center. 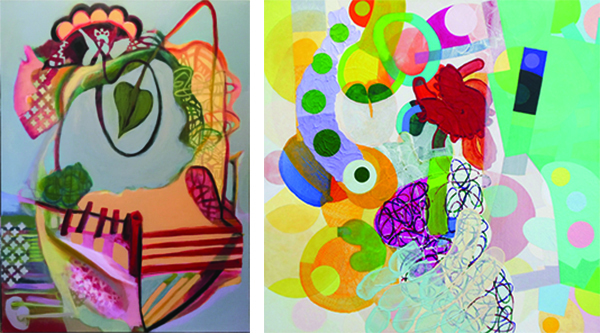 Carlson and Goslee are abstract artists whose works explore the fields of energy and consciousness inherent in their creative process. We invite you to join us Thursday, Friday and Sunday from 12 to 4 pm, and on Saturdays from 1 to 4 pm. The Athenaeum is closed on holidays. Admission is free. The NVFAA is partially supported by funding from the Virginia Commission for the Arts, the National Endowment for the Arts, and the Alexandria Commission for the Arts.The NVFAA is committed to compliance with the Americans with Disabilities Act. To request a reasonable accommodation or materials in an alternative format contact us at nvfaa@nvfaa.org or call 703.548.0035. Green Chalk Contemporary has a lot going on! You just might discover your new favorite artist in BEST BET! The exhibition includes of the work of more than 14 artists- many new to the Monterey Peninsula! 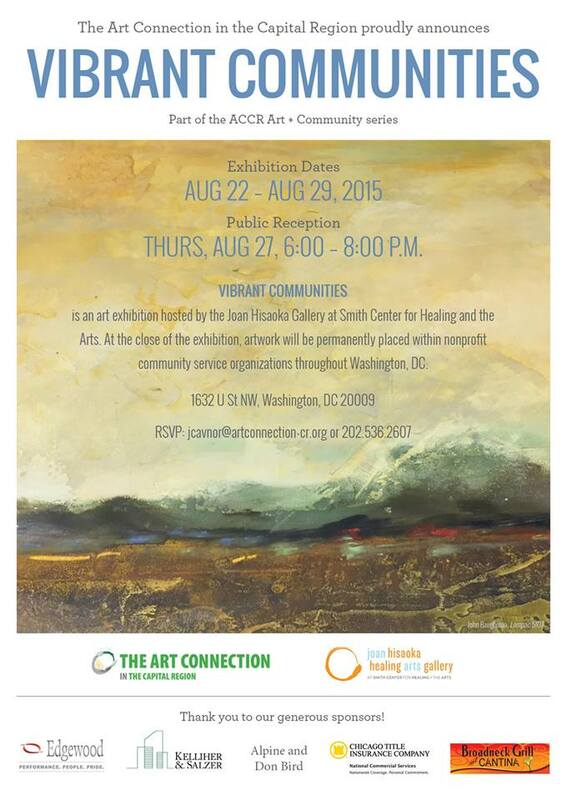 The invitational exhibition opens August 13, and continues through August 29, 2015. The artists in BEST BET! share an understanding about the complexities of life and art- an intelligence which radiates throughout the exhibition. Their art not only illuminates important concepts and beliefs, but also expands our language of aesthetic expression. Artists include Robert Brady, Allen D. Carter, Laurel Farrin, Richard Whittaker, Susan Hyde Greene, Matthew Bennett Laurents, Dave Higgins, Rob Barnard, Margaret Niven, Anne Marchand, Indira Morre, Anna Rheim, Robin Robinson, Robin Ward, Martin Webb, Francie Hester, Jane Olin. Prices and material on these artists available on request. TO SEE MORE PRESS HERE OR ON EACH IMAGE! 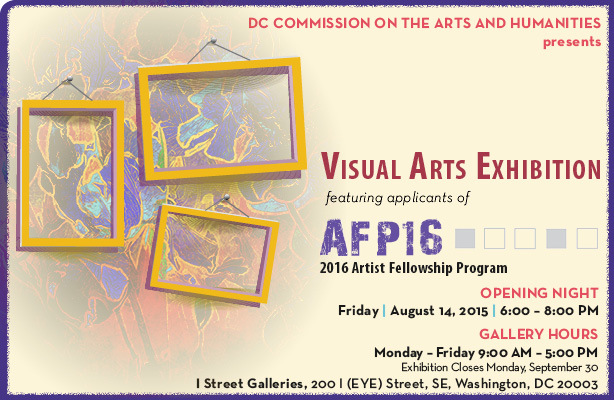 This free exhibition presents some of the District’s finest visual artists applying to the DC Commission on the Arts and Humanities’ FY16 Artist Fellowship Program (AFP) grant. Through the AFP, artists residing in the District of Columbia may be awarded up to $10,000 in unrestricted support for FY 2016. Each artist has submitted a piece that represents their body of work and artistic perspective. The gathering of these artworks in the District’s first operated public gallery captures the broad scope of the dynamic art scene and provides an opportunity for artists to express their visions directly to the panel of peer reviewers evaluating their applications and to the public. Many works are available for purchase. Please note admission to the opening is first come, first served. Please RSVP.